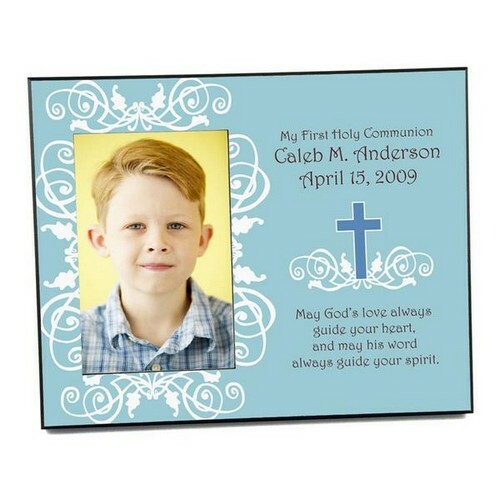 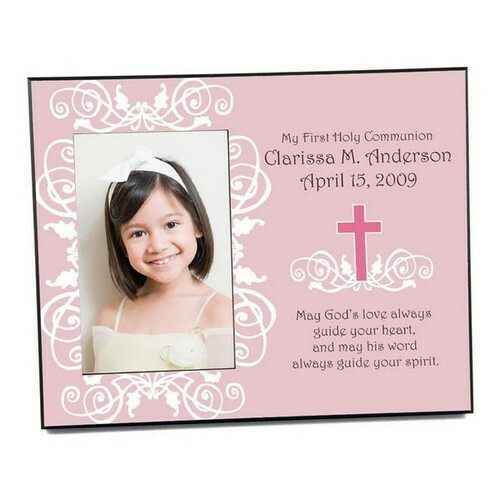 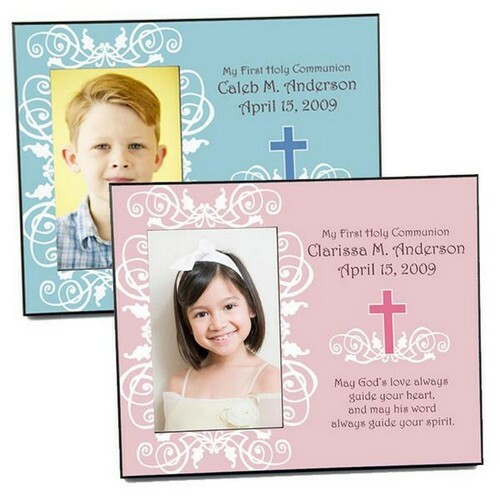 This beautiful 6" x 4 "picture frame for First Communion or Confirmation makes a special keepsake gift that will be treasured and displayed for many years to come. This 10" x 8" frame features beautiful scroll work art with a cross and can be personalized to make it an extra special keepsake item. 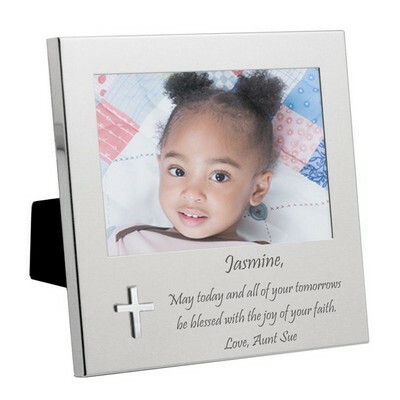 With a smooth finish, this photo frame offers an elegant way to celebrate your spiritual faith. 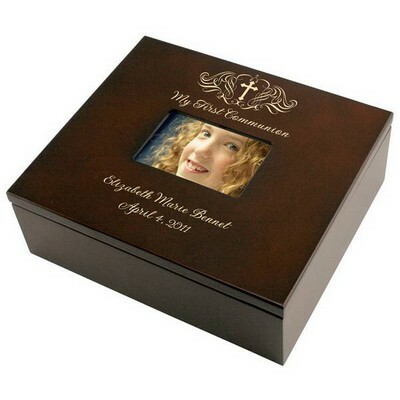 Frame measures 8" x 10" overall. 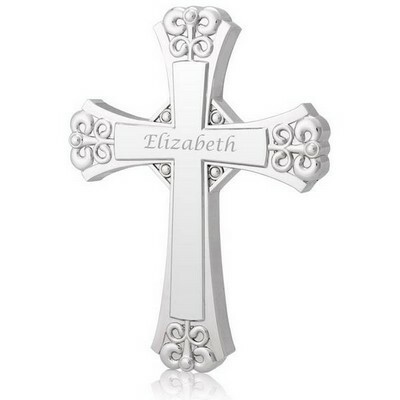 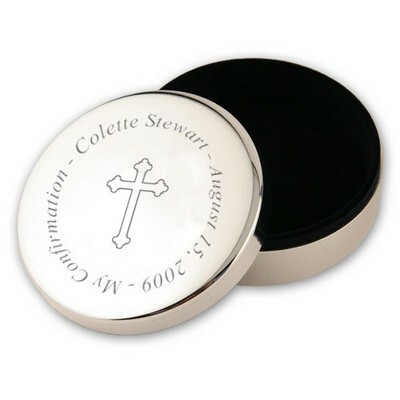 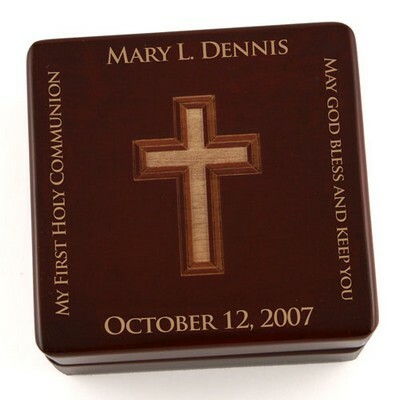 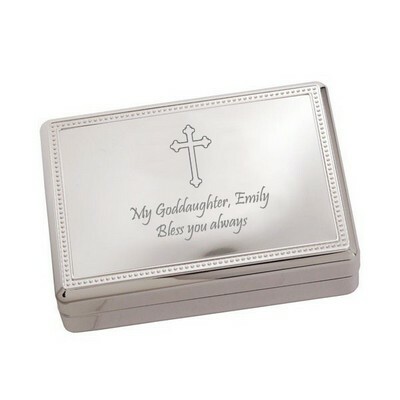 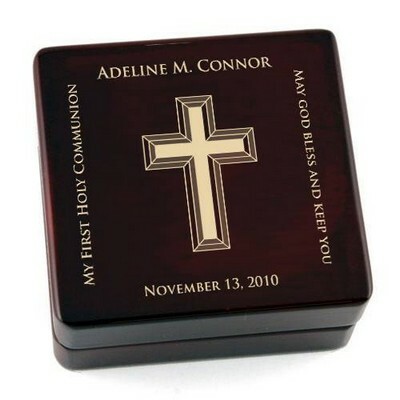 Personalize this gift with the recipients name, date of celebration and a short message, blessing or prayer. 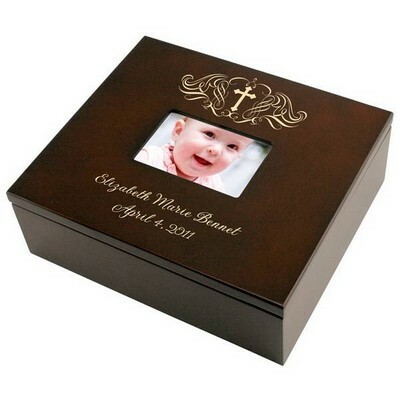 Comments: I am very happy that I went with memorablegifts.com The service was great, the order process was fast and easy and last, the frame looked exactly as pictured on the site. 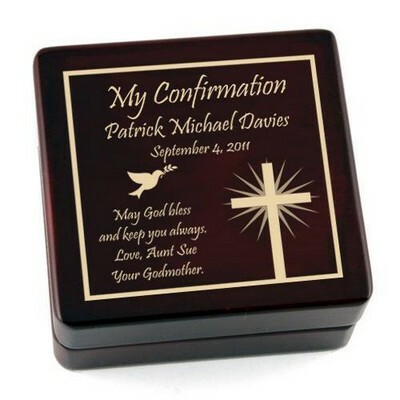 I look forward in ordering more items.